Chess enthusiasts of all ages and levels will find this book an instructive delight. In a simple, easy-to-understand format it explains how to bamboozle your chess opponents using commonly occurring tactical motifs. The illustrative positions, all taken from real games, show the 50 Tricky Tactics that experienced chess masters use to win their games. Recognising frequently-occurring tactical ideas is vital to success in chess. One of the fastest and most enjoyable ways to improve at chess is by learning these thematic manoeuvres. Beginners will benefit from the clear explanation of basic concepts, such as how to utilise a fork, pin, or skewer. Advanced players will delight in the many devious middlegame tricks - some classified here for the first time - which can catch out even grandmasters. 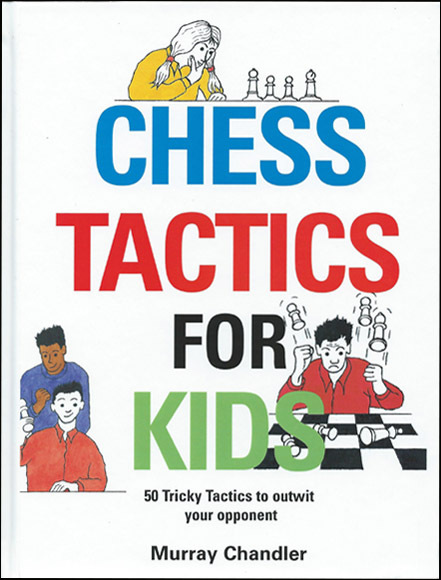 Chess Tactics for Kids makes improving easy and fun, and is full of helpful explanations on how to approach chess games with confidence - and success.